Going along with our theme for this month and taking some advice from Monday’s blog entry, what I’ve written below are short, sweet tips about creating or updating your resume. What’s different about this post is that all the tips are of 140 characters or less – which means that you could tweet these tips! 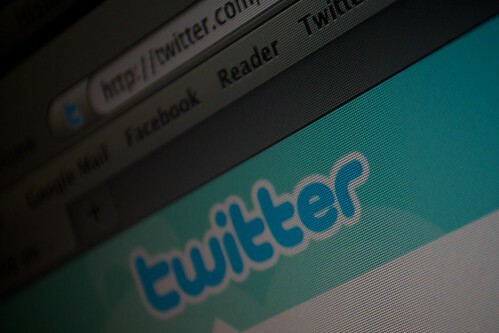 If you don’t have Twitter, I would be happy to help you set up an account and show you the wonderful world of Twitter! You can e-mail me at mediacld@uww.edu if you have any questions or comments. Your resume should include your name, contact information, education, activities, awards/scholarships, and experience/skills. On average, hiring managers look at resumes for 6 seconds. Keep yours clean, simple and easy to skim over. Utilize the bold text to make certain things stand out. Make sure your type is around 12 point. Make sure you have a readable typeface, use bullet points, use horizontal lines wisely, and utilize white space. A resume should be about one page long. Fill up that space! Use action words! Verbs show hiring managers what you’ve accomplished. Be professional! Use a professional e-mail, not PartyAnimal999@gmail.com. Under your contact information, add your LinkedIn profile, your website, or your blog name. Proofread, proofread, proofread. I know – we all make mistakes. But when someone is looking at your resume, your credibility is on the line. Make an appointment with one of the Career & Leadership Development career counselors. They will sit down and go over your resume with you. If your resume needs a serious face-lift, be sure to stop by the Resume Doctor events on April 2,3 and 4th from 1-4pm in the library. Check out the resume resources on the Career & Leadership Development webpage. Talk to your friends about resumes. Share advice. What does their resume look like? What works for them might or might not work for you. Upate your resume regularly. If you’re in college, you probably change jobs every year or so and have had an internship or two. Do not try to spice up your resume with funky fonts and borders around every heading on bring pink paper. Be creative, but be subtle. Do not lie and say you studied law when you only took one law class in college. Do not have a ‘My Hobbies’ heading in your resume. Your interviewer will not be impressed that you collect Pokemon cards or like to work out. Do not include your picture. Do not include any picture! If you want to add a picture, set up a LinkedIn account. Do not use any slang or jargon on your resume. Do not spray your resume with perfume, ala Elle Woods in Legally Blonde style. Yes, it will make your resume stand out, but not in a good way. Do you have any tweetable resume tips? Tweet me @UWWCareer and your tip might make it on this blog post! This entry was posted in Resumes and tagged Kelsey Welke, social media by Kelsey Welke. Bookmark the permalink.